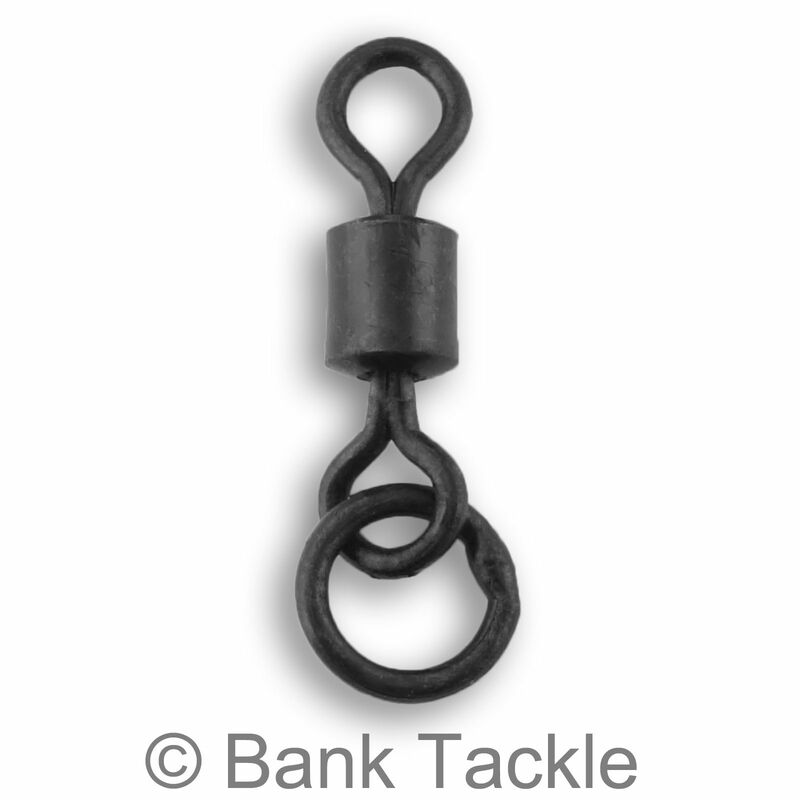 Flexi Ring Rolling Barrel Swivels with a matt black non reflective coating. 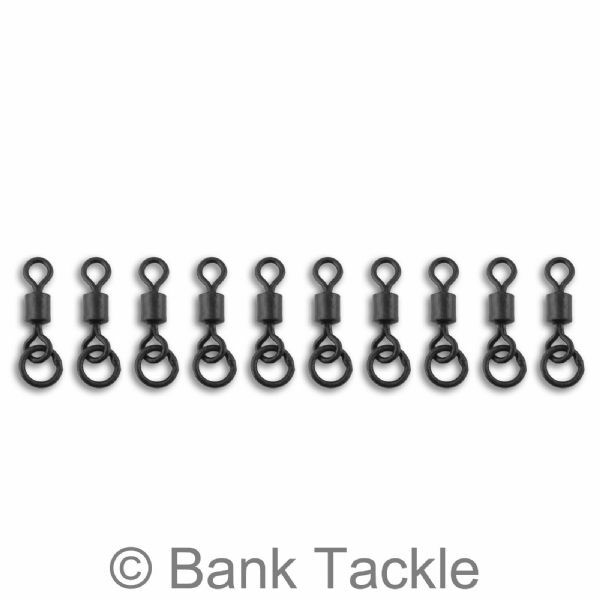 Flexi Ring Swivels are a vital component for many modern day carp rigs. 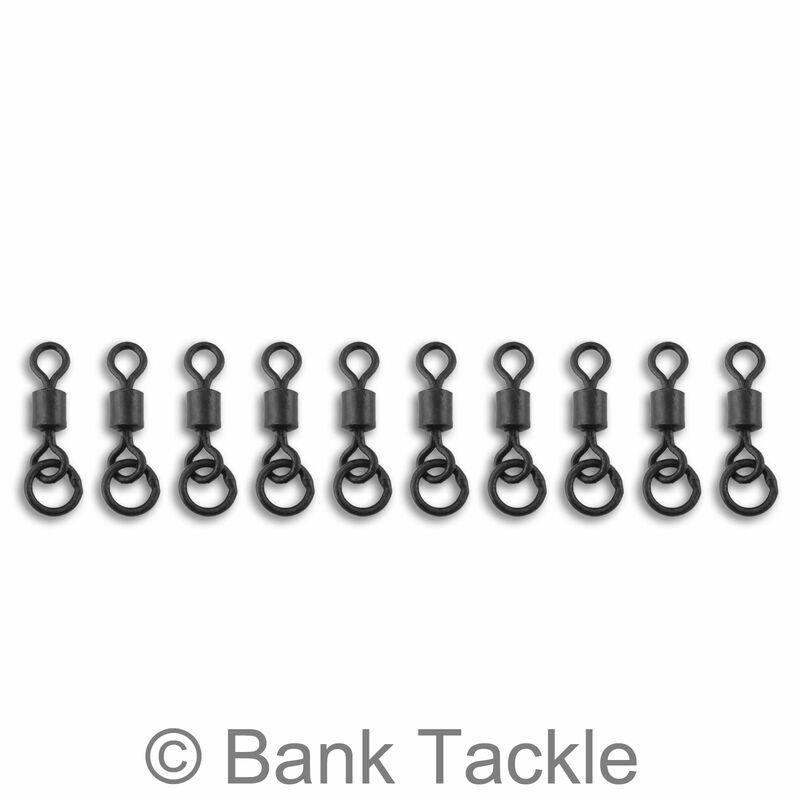 They have many uses but in particular can be used when making Chod Rigs, Zig Rigs and Helicopter Rigs. The Flexi Ring allows for greater natural movement of your end tackle and chosen hook bait. Our size 8 Flexi Ring Swivels are genuine UK size 8 and fit all standard sized Lead Clips on the market. 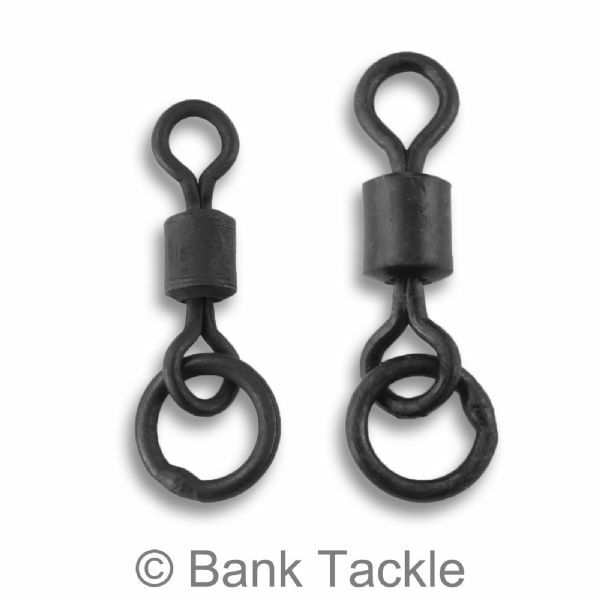 Size 11 Flexi Ring Swivels are best used when scaling rigs down. Their smaller size makes them less conspicuous making them perfect for fishing pressured waters and catching wary carp.